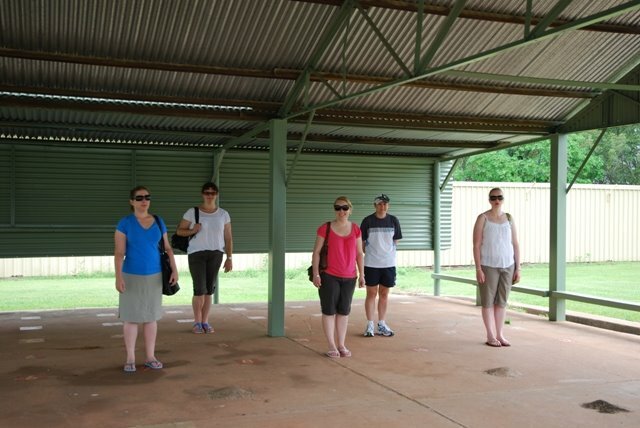 Today we all headed to Fannie Bay Goal and the NT Museum. 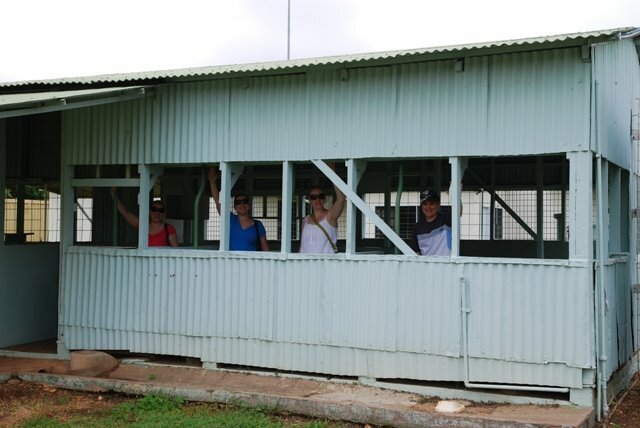 The buildings a t the gaol were erected in 1883, and the grounds housed Darwin’s main jail for nearly 100 years. It is also the sight of the last two hangings in NT in 1952. The jail closed in 1979, when a new maximum security lock-up opened at Berrimah. The NT Museum and Art Gallery has a large selection of Aboriginal Art and a fantastic Cyclone Tracy display including a sound room you can stand in and listen to the whirring sound of Tracy at full throttle and is home to “sweetheart” a 5m 780kg saltwater crocodile, which became a Top End personality after attacking several fishing dinghies on the Finniss River south of Darwin. Cyclone Tracy built up over Christmas Eve 1974 and by midnight the winds began to reach their full fury. At 3.05am the airports wind reading equipment failed, after recording a wind speed of 217km/hr. In all 66 people died and of Darwin’s 11,200 houses 50-60% were destroyed either totally or beyond repair, and only 400 survived relatively intact. After the museums, Tash, Nicole and I headed into town for a lovely pub lunch whilst we left the other girls to shop till they dropped. Next post: Kakadu National Park – the tale of a girls road trip !